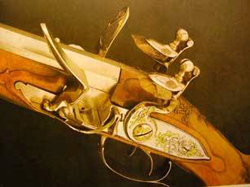 Arms for hunting and sporting purposes which are produced in Suhl are famous the world over. Today's gunsmiths produce only arms for hunting and sport. These are in high demand in the whole world. Firearms produced in Suhl are known to be of fist-class quality. Suhl is also famous for its unique hand engravings. As long as weapons have been in use, man has not just wanted good arms but also beautiful ones. A characteristic of the master engravers from Suhl are engravings depicting landscapes and animals. 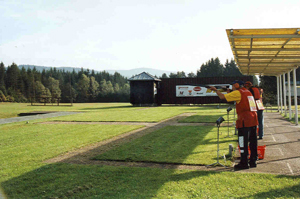 Suhl's range is one of the best facilities for competi-tions in sport shooting not only in Germany. Ralf Schumann, several times Olympic Champion, practices here. Individual training times can be booked. It is one of the most important specialized museums for firearms in Germany. Moreover, Suhl has the only vocational school for gunsmiths and engravers nationwide as well as the oldest national Proof House in Germany.